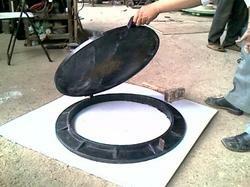 Our finished manhole cover are resistant to extreme environmental conditions and does not crack, swell or shrink. These are water proof and resistant to corrosion and termite. We are looking for queries from mumbai, navi mumbai & thane district only. "THERMODRAIN" Gratings are with ZERO FILLER CONTENT due to which it doesn't have air voids, hence does't require void filling & painting / coating. Due to zero filler "THERMODRAIN" Grating perform far superior under load bearing and weathering. They do not crack under open sunlight and have higher impact resistance than FRP Grating with filler content. Its high flexural strength doesn't allows permanent deformation due to load. 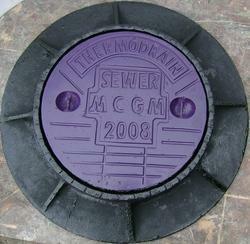 "THERMODRAIN" Grating are self pigmented non painted. "THERMODRAIN" Grating are one piece molded jointless (Interwoven Construction). Thermodrain FRP water tank covers serve a dual purpose. 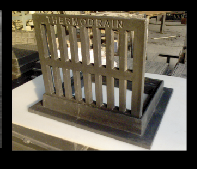 They are not only superior to conventional Cast iron & Ductile iron covers but are also light weight. They are tested as per BSEN 124 1994. Our covers are even immune to algae and rusting contaminants. They meet all the requirements of the code and are available with load bearing of 500kgs, 10 tons & 20 tons. Please find attached herewith frp manhole covers price list. Prices Differs according to size and specification of the product . 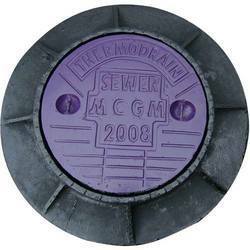 Please find attached herewith thermodrain frp manhole cover, grating & gully cover . We offer gully trap cover which are made of FRP high quality material and there are many advantages of these covers as water can easily flow through it and there is no water logging. They have been thoroughly tested as per BS EN 124 1994 & AASHTO M306 standards for drainage and utility service. Our covers all the requirements of the code.